Skype for Business and Microsoft Teams are leading enterprise communication and collaboration tools for large businesses with dispersed workforces. Teams has become Microsoft's fastest growing application of all time, with 329,000 companies using it worldwide (including 87 of the Fortune 100), making it impossible for enterprises on a ‘digital transformation’ journey to ignore. In this blog, find out the main differences between Skype for Business and Teams alongside the six deployment or ‘user modes’, explained by Principal Solutions Architect Tom Arbuthnot. Whilst some organisations will have strong advocates and programmes for migrating fully to Teams, others may prefer a more cautious approach for various technology and business-related reasons. There is no universal right or wrong approach, and there are arguments for the two platforms to coexist; however, understanding which path is right for your organisation can be difficult. 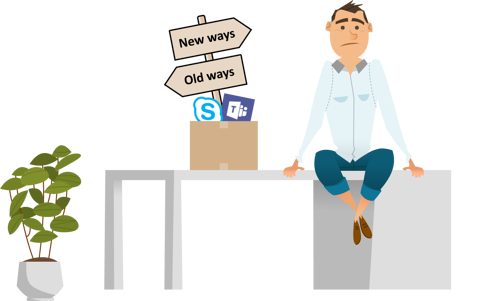 Why migrate your communications to Microsoft Teams? In short, the answer very much depends on understanding the requirements of your organisation and identifying the specific use cases. Microsoft Teams is a comprehensive collaboration application that incorporates much of the functionality available in Skype for Business (chat, calling and conferencing), with the added benefits of enhanced collaboration capabilities, including file and calendar sharing, integrated applications and the ability to work from anywhere with a user-friendly mobile version. At Modality Systems, we have found Teams invaluable for project management and are gradually migrating all departments on a use case basis. Whilst some teams, such as marketing and software development, are fully immersed in Teams for their day-to-day tasks, Skype for Business remains a fundamental platform for a small group of employees who require certain features. The adoption of Teams is a personal journey which should be more about the business value rather than the technology. The value of Teams as a collaborative, productivity enhancing tool is reasonably well known, but plotting the course for how and where you adopt it is bespoke to each organisation. Is it ok to use Skype for Business alongside Microsoft Teams? In this mode, all capabilities in Skype for Business and Microsoft Teams are enabled. This can cause a lot of confusion for users over which platform to use, so it is recommended that this mode is selected for testing purposes only. Remain solely with Skype for Business with Teams switched off. This could be the result of requiring specific functionality or for specific business types such as customer service desks, for example. Migrate fully to Microsoft Teams and switch off Skype for Business. Collaborative businesses with a cloud-based strategy are prime candidates for this model. This means using Teams for chat and file-centric collaboration for projects, whilst Skype for Business is used for audio/video calls and conference calls. In this mode, Teams is the central place for working on projects, files and chats as well as calls. 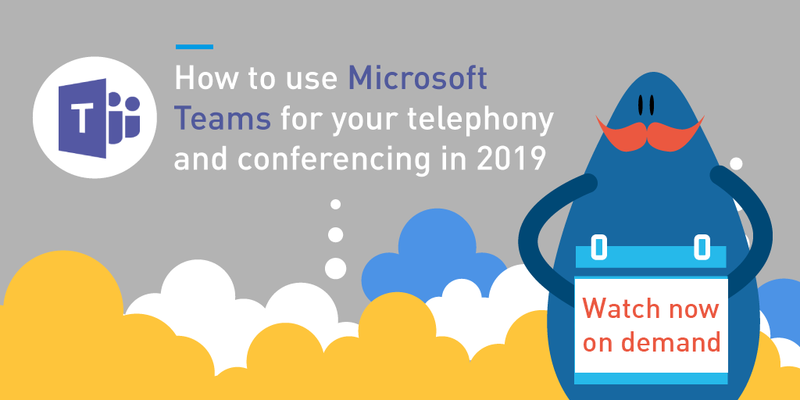 Skype for Business remains the default for your general telephony but you can use Teams’ advanced video capabilities to schedule and host meetings. This is a relatively new mode, announced at Microsoft Ignite, specifically for Skype for Business Server customers who aren’t ready to move to Teams for calling yet but want to mix and match Teams meetings with Skype for Business. Similar to the mode above, this means users can still use Skype for Business for their telephony alongside Teams’ meetings capabilities. 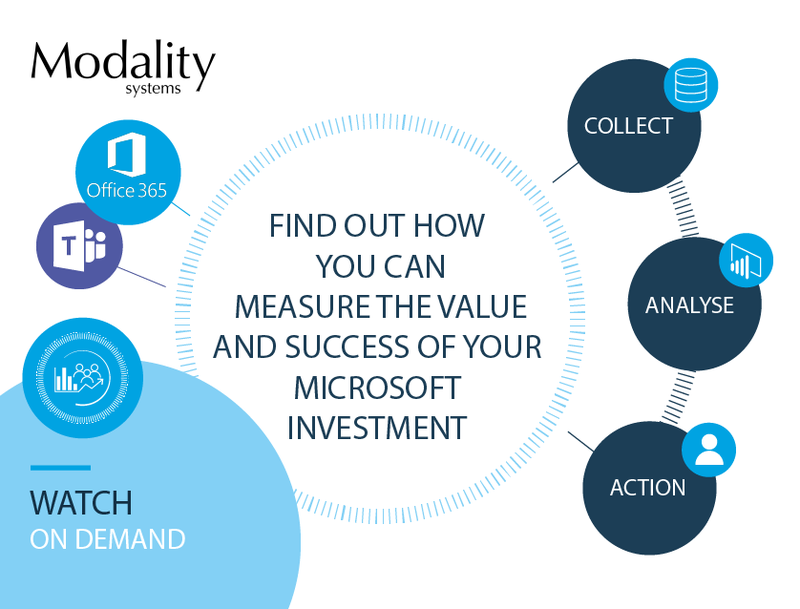 Modality Systems is currently working fully in Teams with a select group of ‘island’ users that still need access to Skype for Business for software testing and customer support purposes. We have identified the value and use cases for Teams throughout our departments but as with any change programme, it needs to be continuously managed. You can track our progress by subscribing to our YouTube channel, where we have been documenting our Teams journey. If you'd like more information, Microsoft recently released updated guidance for upgrading from Skype for Business to Teams. If you have any questions, do get in touch with us in the comments section below. Moving from Skype for Business to Microsoft Teams? 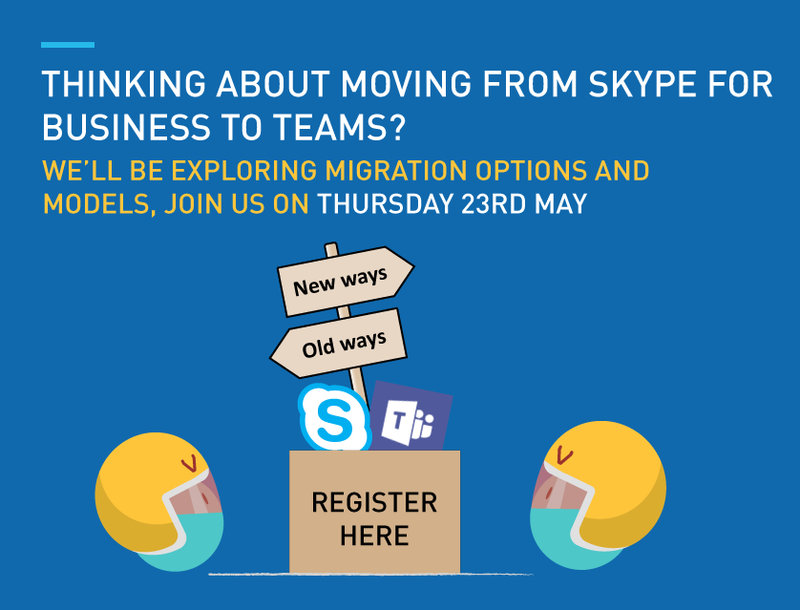 Watch our latest insight session on demand to learn more about your migration options, and the capabilities of Teams voice and conferencing. - How well do you know Microsoft Teams? Subscribe to our blog to keep up with our latest Microsoft Teams insights.